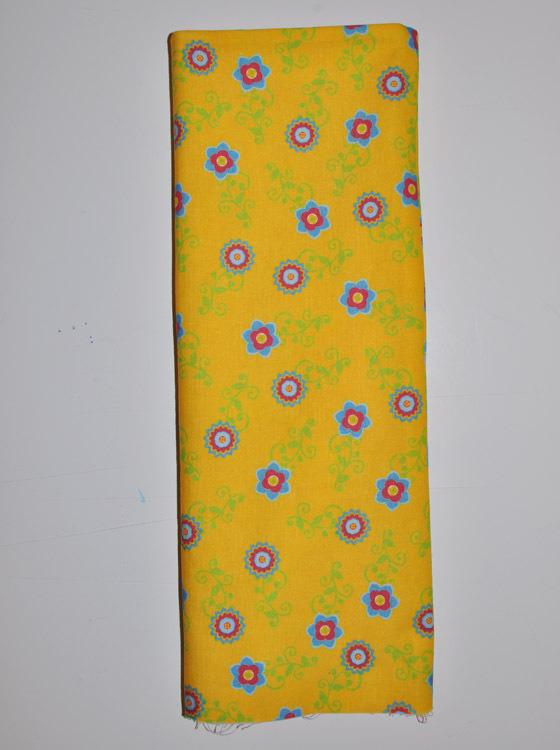 I just got my fabric order for my new Retro Flower Garden original fabric collection from Spoonflower and I was so excited to make something fun right away! 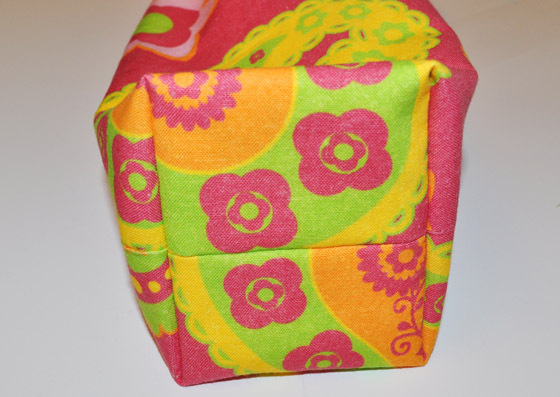 Never fear- you will be hearing much more about my new fabric collection in later posts, but for now I want to share this Free Tutorial on making a fabulous and fun Wine Bottle Gift Bag. 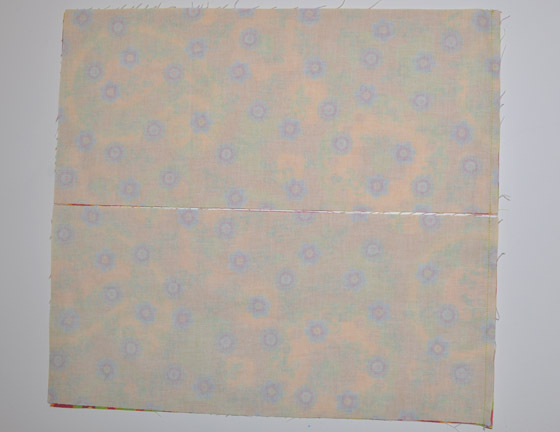 Once you have cut your fabric pieces, place 1 of Fabric A and 1 of Fabric B, right sides together and stitch one 7″ end using 1/4″ seam allowance. 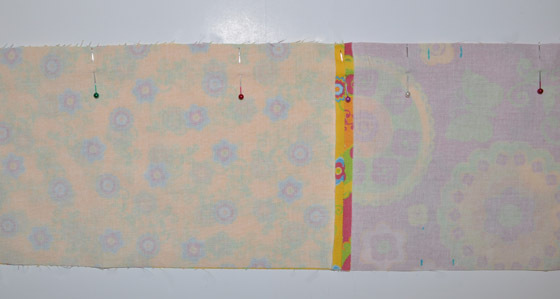 Repeat for remaining two fabric pieces. Press seams open. Place completed sections right sides together lining up the center seams. Measure 2.5″ down from the center seam on Fabric A (outside bag fabric) and make a mark on the long edge using a washaway fabric marking pen. Measure down 1″ and make another mark. This is your drawnstring opening. Repeat for the other Fabric A edge. 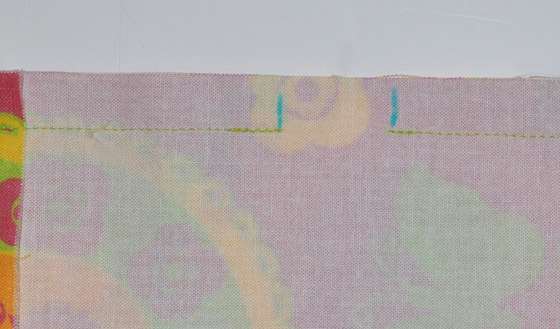 Stitch a 1/2″ wide seam from the end of Fabric B to the 1st mark you just made on Fabric A. Leave the 1″ space unsewn. 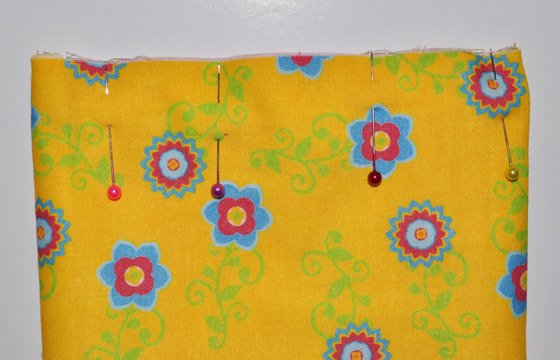 Start from the 2nd mark and continue your 1/2″ wide seam to the end of Fabric A. Press seam open. 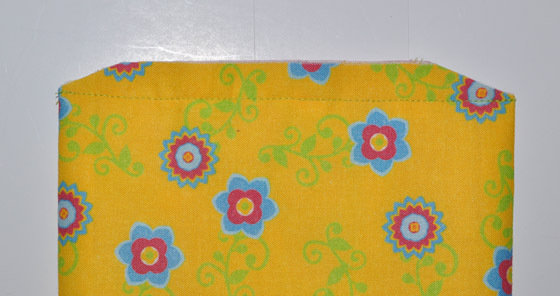 On the front side of the fabric, topstitch 1/4″ around the drawstring opening. 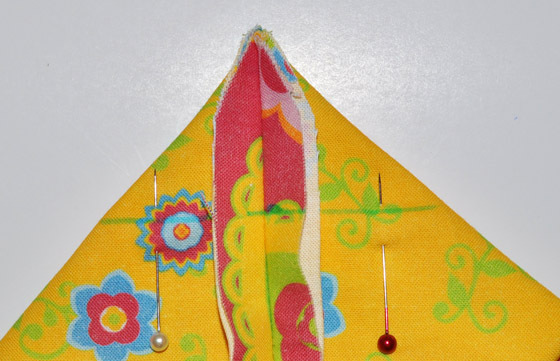 After you stitch the part of the side seam, turn right side out, press, and do your topstitch around the opening. 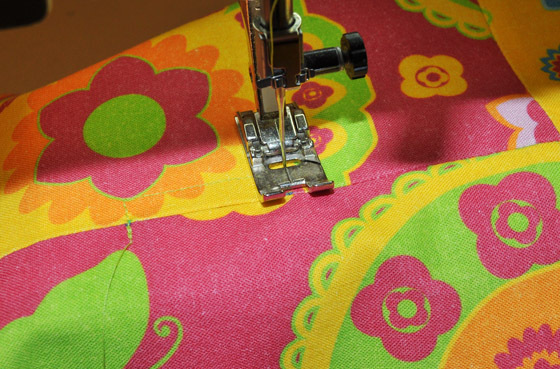 Once you have done that, turn it back and complete the side seam in both directions. 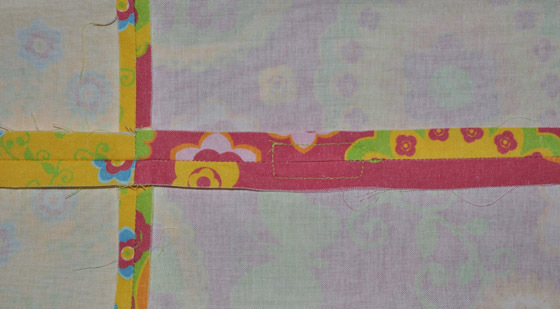 Turn bag so that the lining fabric is on the OUTSIDE and all the raw bottom edges are even and side seams are lined up. Pin bottom through all layers. 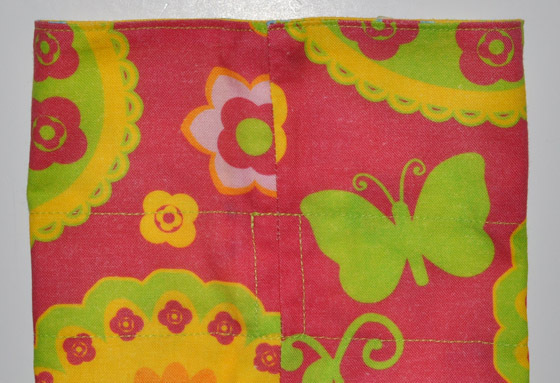 Stitch 1/2″ seam across the bottom through all layers. Clip corners diagonally. Flatten the bottom of the bag as shown in photo. 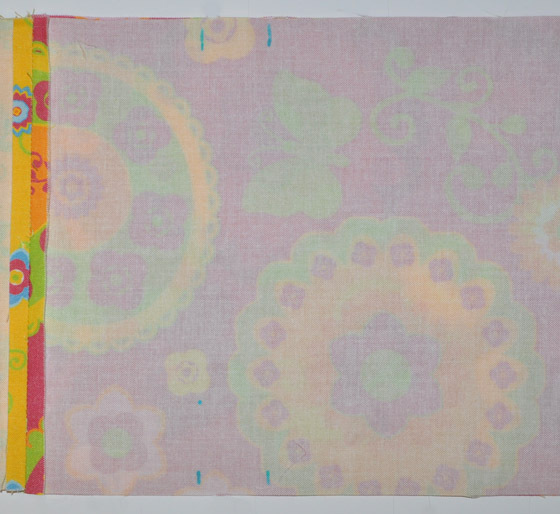 Draw a line using a washaway fabric pen 1.5″ down from the point. Pin and stitch across. Repeat for the other corner. This will make a rather neat bottom. Trim off excess fabric as shown. Turn right side out. This is what the bottom of the bag looks like turned right side out. 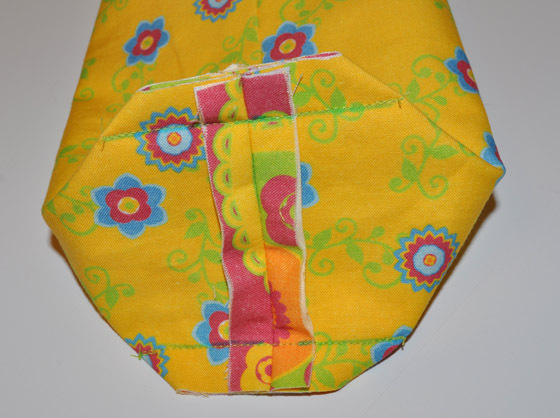 Use a washaway fabric marker to drawn stitching guidelines for your drawstring casing. I lined them up with the previous topstitching I did around the side openings. With bag right side out, topstitch around the bag as shown. 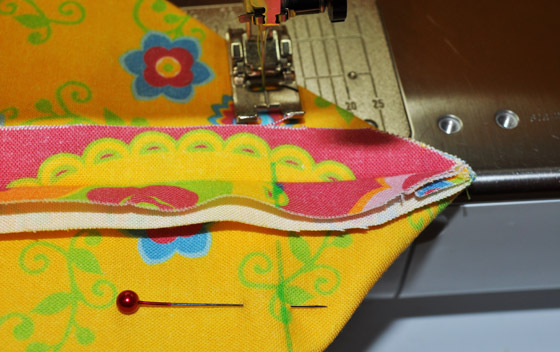 Topstitch 1/8″ from top edge of your bag for a neat finish. Cut a 1 yard ribbon and use a safety pin on one end to feed it through the casing and back out. Stitch the ends together securely and pull the ribbon around so the stitched end will be hidden. Pull drawstring out from each opening evenly for handles. Now all you need is a bottle of wine and you are ready to go! Here is a perfect accessory to go with your Wine Bottle Bag: fast, easy, and super cute Slip-On Wine Glass Coasters with Charms, another free tutorial from Stitchwerx Designs. 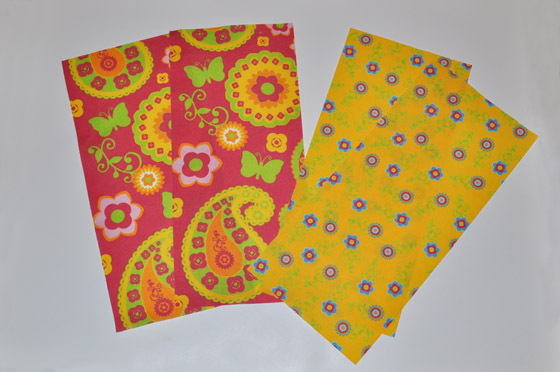 If you are looking for some great fabrics for your Wine Bottle Bag or any other craft project, please take a look at my original fabric designs for sale exclusively at my Spoonflower Shop. 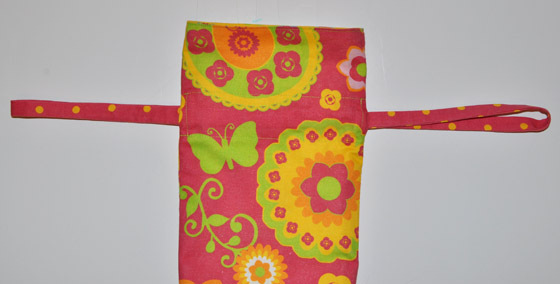 The wine bottle gift bag shown is made of fabrics from my Retro Flower Garden collection. Lots of fun and whimsical fabric with a retro style. Thanks for stopping by and happy sewing! This entry was posted in Free Patterns, Sewing, Sewing Patterns, Tutorials and tagged free wine bottle bag pattern, free wine bottle bag tutorial, wine bottle bag, wine bottle gift bag. Bookmark the permalink. Pingback: Sewing Class Project #3 Drawstring Gift Bag « giant friday | nourishing food for good times. Wow these are very nice directions. I have looked at over 20 different ideas to make a holiday-inspired lined gift bag for wine and this is the one I am going to use! I appreciate the clear photos you posted. Thank you! 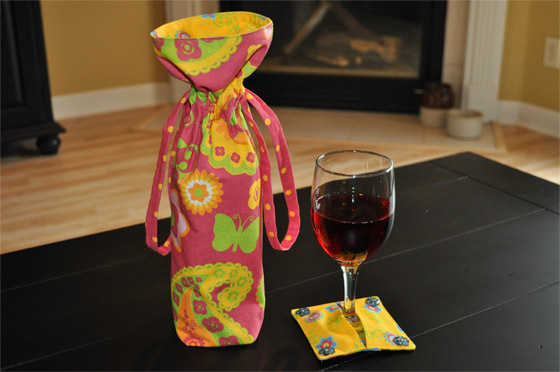 love your wine bottle bag and coasters, do you have what I see is a friendly pdf for the directions?